Blues fans know him as one of harp genius Little Walter's studio accompanists during the latter portion of his tenure at Chess. Jazz aficionados are aware of him for the albums he did for World Pacific. 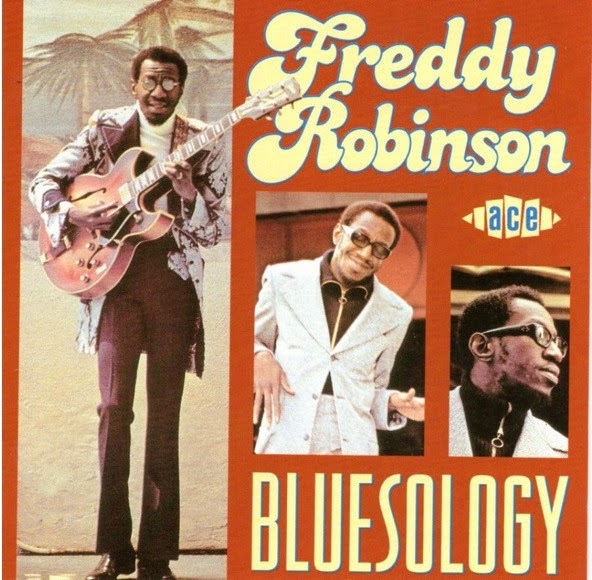 Freddy Robinson has been one versatile guitarist across the decades. Robinson played both bass and guitar behind Walter at Chess circa 1959-1960. His own recording career commenced in 1962 with a jazz-laced instrumental pairing, "The Buzzard"/"The Hawk," for King's short-lived Queen subsidiary. He gave singing a try in 1966, cutting "Go-Go Girl" for Checker (with Barbara Acklin and Mamie Galore helping out as background vocalists). By 1968, he was recording with pianist Monk Higgins and the Blossoms (Darlene Love's vocal group) in Los Angeles for Cobblestone.